Even with the disruptive force of Amazon and a bustling e-commerce economy as a whole, the rumors of the death of retail are greatly exaggerated. According to the U.S. Department of Commerce, shopping in physical stores comprises 90 percent of all shopping activity. 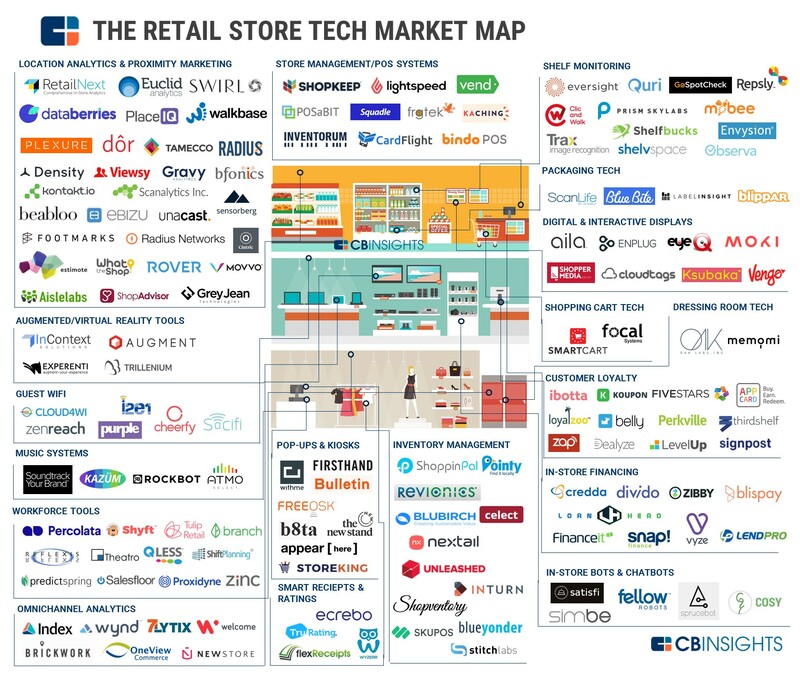 It’s no surprise, then, to see such vigorous start-up activity targeting the brick-and-mortar store. But even without the salvation of these new physical-store technologies and services, which will take time to mature and scale, bold examples of what the store of the future may provide are beginning to crop up. Nordstrom Local offers style consultation and personal shopping services but holds no merchandise. Lowe’s Innovation Labs is bringing robotics and mixed-reality envisioning technology to mass retail. Best Buy and b8ta are creating stores designed for consumers to try (not buy) new gadgets. Conventional retail is focused on scale. In our world of abundance and access, scarcity is one way to create consumer interest and action. Retailers should look to cult streetwear and sneaker brands and borrow their strategies for limited editions, collaborations and unique shopping experiences (e.g., World of Niche, an appointment-only sneaker store designed for one shopper at a time). Or consider exclusive designer partnerships like Target does with the likes of Victoria Beckham, Marimekko or Lilly Pulitzer. They pull people into the store for the rush to buy before the merchandise is gone and encourage additional buying opportunities while they’re there. What do healthy retailers IKEA, Costco, Trader Joe’s, and Whole Foods share in common (besides being liked for their customer service)? They all pay their workers more than they have to. It’s easy to connect the dots here. Do you sell a product that’s expensive or purchased only occasionally? Consider integrating a separate high-frequency business with your premium or periodic purchase offerings in your retail environment. For example, TOMS Shoes, Saturdays Surf and Chicago’s Heritage Bicycles all have integrated coffee shops in their retail environments to create a daily draw for consumers — an excellent technique for creating cash flow and exposing consumers to your core proposition.